A person has died after being struck by a train, British Transport Police (BTP) has announced. 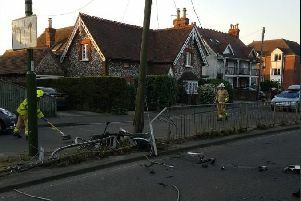 Officers were called to a level crossing at Whyke road, Chichester at about 5.20am this morning. They were responding to reports of a person being struck by a train. A spokesman for BTP said: “Colleagues from the ambulance service also attended, however, sadly a person was pronounced dead at the scene.